U.S. Air Force Space Command expects to release this year a new strategy for the service’s future satellite communications architecture to address lawmakers’ longtime concerns about stove-piped capabilities and offer a more holistic, cost-effective solution, AFSPC leaders said this week at the 35th annual Space Symposium. The focus on great power competition has prompted the command to craft an “enterprise satcom vision” that seeks to develop SATCOM as a holistic enterprise, to include capabilities such as roaming network and dynamic network capabilities, enterprise management and control, and situational awareness assets, Damon Feltman, chief of AFSPC’s Global Effects Division said in an April 10 interview with two reporters. “Today, we’re very stove-piped by mission. … We want to be able to be more ubiquitous across that environment,” he said. Feltman also currently serves as a brigadier general in the Air Force Reserves and the mobilization assistant to the commander of the 14th Air Force at Vandenberg Air Force Base, California. The enterprise SATCOM vision is awaiting signature by Air Force Space Command Commander Gen. John Raymond, who was nominated to lead the future U.S. Space Command, Feltman said. Air Force Space and Missile Systems Center (AFSMC) Commander Lt. Gen. John Thompson told reporters April 11 that a final strategy is expected by the end of 2019. Congress has been interested in how the Air Force can reconfigure its satellite communications architecture for several years now. Lawmakers have appropriated funds to AFSMC and Defense Information Systems Agency (DISA) in the past for pathfinders and pilot programs, and the service has been analyzing the results from a yearlong wideband satellite communications analysis of alternatives that was released in December 2016. U.S. industry and even some allied partners’ industry are “very, very interested” in partnering with the Air Force to create more common or multi-use terminals and make them more accessible to the warfighter, Thompson said. The Defense Department currently operates between 130 and 160 unique satellite communication terminals, he noted. “Having a multi-capable terminal and reducing the number of different configurations is an area that industry is very excited about,” he said. The command could also partner with industry to transition military satellite communications to more commercial applications, for example, shifting from “large unprotected beam areas on the ground” to “many, many more smaller soda straw-sized beams to do guaranteed low probability of intercept and low probability detection” with off-the-shelf systems, Thompson added. AFSPC is considering a number of proposals for future pathfinders and pilot programs, which are also being considered as part of the larger SATCOM strategy, he noted. Hosted payload opportunities remain a part of the conversation as well, along with responsive launch services and mega constellations of small satellites the likes of which are being developed by companies such as Space X, OneWeb, and, as of this week, Amazon [AMZN], Feltman said. Air Force Space Command became the sole procurer of commercial satellite communications last year, taking over responsibilities from Defense Information Systems Agency (DISA) following a directive in the fiscal year 2018 National Defense Authorization Act (NDAA). “That kind of set the stage for kind of a holistic look at Air Force Space Command SATCOM capabilities and where we want to go in the future,” he said. Previous to that point, AFSPC was largely just focused on protected SATCOM capabilities, he noted. Now, the command has an opportunity to take “a fresh look” at its ambitions for commercial satellite communication. “I think you’ll see a pretty significant shift in how Air Force Space Command is approaching SATCOM over the next couple of years,” Feltman said. 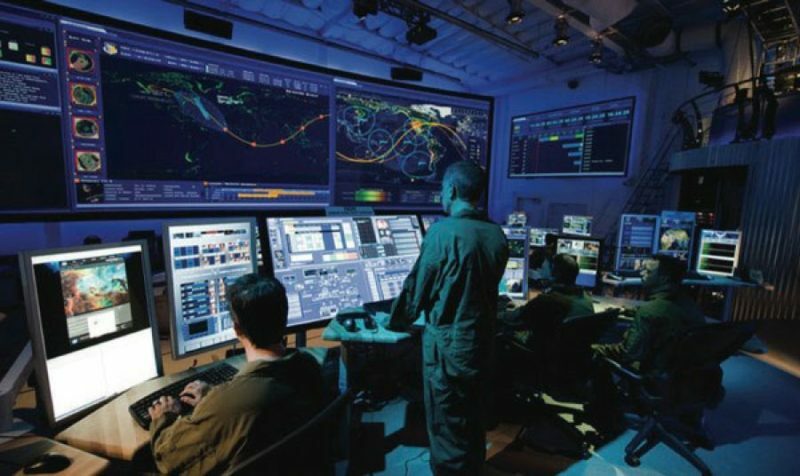 The post New Air Force SATCOM Strategy Coming This Year appeared first on Via Satellite.